Christopher Wasden, Global Healthcare, Innovation Leader, Managing Director, PwC, US. Social, Mobile, Analytic and Cloud (SMAC) technologies now enable new business models in healthcare that can decrease costs, improve outcomes and create ubiquitous access. However, the adoption of SMAC requires a radically different culture within Healthcare IT (HIT), one that follows the principles of fast, frequent, frugal failure found in Agile development processes and lean startup approaches to innovation. This article addresses the current state of HIT culture and how we must transform it in order to overcome the challenges we face and achieve our innovative potential. The most powerful tension within all organisations is between running the business of today and creating the business of tomorrow. This tension is magnified for Information Technology (IT) professionals. Their organisational identity is tied to the view that ‘failure is not an option,’ since the broader organisation’s current operations are wholly dependent upon IT working all the time in a flawless fashion. After decades of healthcare lagging in IT innovations found in other industries, healthcare IT (HIT) leaders now find themselves playing catch up, as they make up for massive underinvestment that is straining their capacity to keep the current business running let alone provide the foundations for the creation of the future business. At its core, we are seeing that the past HIT culture has become a liability in this digital transformation taking place within healthcare. A new culture must emerge that not only enables the use of, but also encourages and supports the experimentation with, SMAC technologies (social, mobile, analytic and cloud), which have transformed media, retail, and travel, and created the expectation among consumers that healthcare should leverage the same. So what are the characteristics of the current HIT culture that blocks innovation? What should the new culture look like? And, how can HIT leaders create this culture to support their digital transformation? Failure of HIT systems can obviously have more devastating consequences than failure in other industries since the results could lead to life threatening consequences or death. This rightly leads to a risk-averse culture. Even in industries where the consequences for failure are not as dramatic, IT leaders still support the running of the business of today in a cautious manner to ensure 99.999 per cent uptime. As a result, the culture is by nature conservative, preferring to only implement systems that are tried and true with Six Sigma levels of quality and precision. (Six Sigma is generally recognised as a standard methodology for business process improvement.) This forces a type of mindless operational efficiency within HIT to ensure that no matter who performs the function or role you get the same outcome nearly all the time, or in Lean Six Sigma terms, no more than three errors in one million attempts. For the purposes of this article, we define mindlessness as an activity that is so simple or repetitive it is performed ‘without thought’— one is merely following established standard operating procedures. There is nothing wrong with this type of mindlessness; indeed, you can’t run the business of today without it. Mindlessness is the key requirement to scaling any valuable innovation. While all innovations are born in mindful creativity, with conscious intent, they are only scaled through mindless operational excellence. And while most healthcare organisations have been slow to adopt Lean Six Sigma discipline to their operations, just as they have been slow to adopt IT innovations in general, they are now applying this process and reaping performance improvements. Such a discipline creates a culture that is based on values, beliefs and deeply held assumptions around the ability to predict with certainty the expected outcome of a process. It limits flexibility, creativity, agility, failure, experimentation, and exploration. It requires historic reporting and a backward looking focus on past performance because it assumes that the future will be similar to the past. It forces the organisation to constantly improve operations in an incremental way, and not through breakthrough or radical innovations. And by doing so it imposes mindless structures and practices to support the organisation that operates at the edge of equilibrium. Normally this level of predictability enables a consistent mode of doing business but what if the marketplace is pushing your organisation towards the edge of chaos? If healthcare organisations were to continue operating in a state near equilibrium for the foreseeable future, then the current culture based upon a Lean Six Sigma orientation would be all that was necessary to both support the business of today as well as the expected business of tomorrow. 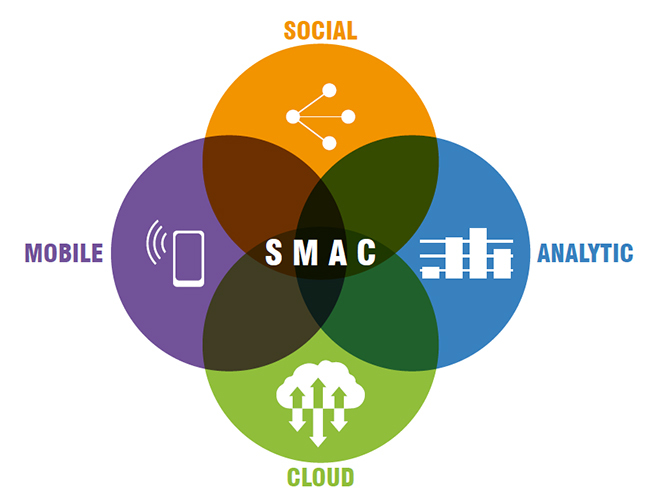 The problem is that SMAC has begun to disrupt healthcare and unravel historically stable business models just as it has in most other industries, pushing the healthcare system towards the edge of chaos, far from the stable environment required for Lean Six Sigma. This is because SMAC is now aligning with other areas of healthcare reform that are putting the patient/consumer at the centre of care and empowering them to make more of the decisions, pay for more of their care, and be more responsible for the outcomes. This demands a more mindful culture, the antithesis of that required in stability. These technological forces create powerful tensions within the organisation as HIT leaders try and figure out how to enable innovations at the edge of chaos without threatening the current business. So how can HIT leaders and their organisations become ambidextrous enough to harness these tensions and create a culture that supports both mindlessness and mindfulness? We have seen many HIT leaders address this challenge by creating a new culture, within their organisations, that supports both Lean Six Sigma processes for the day-to-day activities while introducing new structures and practices that support a Lean startup approach. These ambidextrous leaders do four things to create a more mindful culture that is more tolerant of fast, frequent, frugal failure necessary for innovation and growth. Flexibility – people need the ability to spend time not just on their day-to-day job but also on identifying new failures, pain points, and waste that create tensions, which can be eliminated through innovation. This means giving employees the license to spend time on mindful, creative activities as well as continuing to fulfill their roles in their mindless processes. Agility – exploration of new solutions will always lead to learning through failure. The key to this kind of learning is to be agile enough to pivot from preconceived notions and/or hypotheses towards new and better ones that you believe will be more effective. This requires flexibility in funding and staffing to quickly pivot from one path to a better one. Non-linear thinking – much of what we do in our mindless processes leads to improvement and incremental innovation along an existing linear trajectory. However, the more creative our mindful exploration the less linear it becomes and the more iterative we must be in our approach to discover and invent something valuable and new. Bias for action – this requires an expectation that you spend less time thinking about what to do and more time doing it and then gathering ethnographic data to test your ideas. Building something and then testing it in the real world will tell you more than theorising about its value and benefits. Results-driven – these real world tests will deliver data that will provide the evidence for failure or success. These results will then be the basis for making your decision to pivot from your current course or persevere in the same direction. Sense of urgency – all of these values are augmented by the passion and energy of the employee to get outside of the current environment and get things done quickly and inexpensively. These Startup Values will lead to beliefs that are common among entrepreneurs but often foreign within larger organisations. These beliefs will lead to different kinds of actions that are typical with HIT. Emphasis on learning through exploration and experimentation will be viewed as the most important way to learn about new ideas, solutions, offerings, and opportunities. Failearly, fail cheap will become the mantra of leadership because they understand that without failure there is no learning. Mindful learning can be done for a fraction of the cost required to support the larger mindless structures and practices. Selective risk taking will become the focus of leadership that allocates budgets for exploration and experimentation. Any investment made will lead to creating a Minimal Viable Product (MVP), which helps test an idea to identify, quantify, and measure risks. The risks of each MVP should be well understood before the next version of an MVP is launched. Tolerance for failure will be accepted if it brings significant learning. Therefore, employees that embark on creative experiments and exploration will not be penalised when failure occurs. Passion for business success will be the motivation that drives individuals to take risks and explore and create new innovations. It is not about failure for failure sake, but failure as a means to business success. These values and beliefs will support practices that enable a cycle of innovation within the HIT organisation. This cycle is based upon the view that innovations are created to remove maladaptive tensions within an organisation or marketplace that have emerged from pain, waste and failure customers or employees experience with existing solutions. To enable the practices required to drive the innovation cycle, leadership must apply design thinking and ethnographic research to truly understand the root cause of the failure, waste and pain. Then, it should enable and support exploration and experimentation to create MVPs that test out multiple new incremental, breakthrough or radical innovations that help remove those tensions. These innovation cycle practices will operate more as guidelines that allow for flexibility and agility, rather than as strictly applied standard operating procedures found in more mindless Lean Six Sigma disciplines. Leaders that seek to create a new ambidextrous culture that combines both mindfulness and mindlessness realise that to make this sustainable means that it can’t be limited to a single application or schedule. It must be applied consistently across time and the entire innovation lifecycle. We break this lifecycle up into four phases. The first phase starts with the Discovery of new ideas that originate from anyone or anywhere within and outside the organisation. The ideas must be evaluated, refined, and the best ones selected. We have found in our work with existing HIT organisations that the vast majority of ideas (in many cases 85-90per cent) are merely improvements or incremental innovations to existing mindless processes. These can be passed on to the existing operating functions to implement. However, the rest of the good ideas require a different mindful structure to further develop, de-risk and advance them; this is the role of the second phase of the innovation lifecycle, Incubation. During this phase the technical risks are identified, an MVP or successive MVPs are launched to test and remove technical risks and determine if the new idea could actually work. Most good ideas are in search of the right business model. In Acceleration you iterate towards the best business model that will be appropriate for the final phase, Scaling, which is where it is appropriate to apply Lean Six Sigma principles for success. What we have shared here is a very complete and robust approach to changing the HIT culture and enabling an organisation to become ambidextrous in applying both mindfulness to create the business of tomorrow and mindlessness to efficiently and effectively run the business of today. However, no organisation creates and deploys all the required structures and practices necessary to achieve this cultural transformation in one fell swoop. The best have an implementation plan and horizon that enables them to crawl, then walk, and then run. The outline we have provided above paints the picture of where the future culture needs to be, but each organisation must chart its own course to get there. No CIO can survive in the short-term if they take their eye off the day-to-day operations where failure is not an option. But none will be around in the future if they aren’t able to drive innovation by enabling fast, frequent, frugal failure and the associate values, beliefs and deeply held assumptions to empower new behaviours among its people. 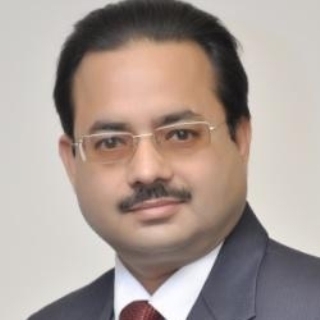 As F Scott Fitzgerald said, “the test of first rate intelligence is the ability to hold two opposed ideas in the mind at the same time, and still retain the ability to function.” Today’s CIOs must master this type of ambidexterity and create the culture that enables their employees to do the same..
Rana Mehta is PwC India’s Healthcare Leader. With more than 18 years of experience, Mehta has worked with a host of Indian and international healthcare organisations, including over 50 hospitals in South Asia, to deliver services across the entire healthcare value chain and develop customised healthcare solutions to suit their needs within political, socio-economic, geographic and demographic imperatives. 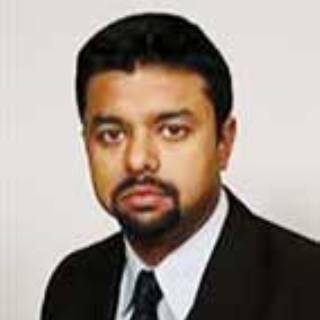 Shib Pramanik focuses on Health Information Technology across the Payer and Provider industry segments. Shib has over 10 years of consulting experience in working with healthcare technology including ehealth program management, HealthIT solution selection, requirements elicitation, planning and roadmap development and fit-gap assessment of technology solutions to healthcare organisation requirements. 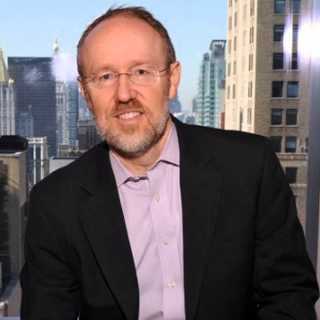 Chris Wasden is a Managing Director at PwC US and the Global Healthcare Innovation Leader. Prior to PwC he led nine startups that include corporate ventures, venture financed startups, incubators, and family-owned businesses. He has also authored over 40 reports and papers on innovation that have outlined his philosophy and approach for successful innovation transformation.